A significant part of wanting to learn how to sing well is to grasp the importance of voice lessons. Most accomplished and talented singers find that periodic voice lessons are virtually a necessity for yielding the best sounds. Whether you sing just for fun or you desire to begin a professional career, there a number of ways you can find success in your chosen path. Basically, if you are serious about improving your ability to produce full, rich, quality sounds, you will need to learn the right physical and proper vocal techniques. Thus, in order to expand your voice quality and tone, your initial consideration should be to seek the advice of a private coach. If you are unable to afford the cost of a private tutor, you might consider taking online singing lessons or even use CD’s since these are other viable and effective options. Because your posture affects your ability to sing clear tones, this is one of the first basic physical elements on which you should focus. Improper posture will prevent the abdomen muscles from fully constricting and expanding which is necessary for suitable upward air flow. Not only does singing create stress on your voice, but it also adds pressure to your body as well. By practicing various breathing techniques that require you to inhale deeply, you will strengthen your lungs and diaphragm. Essentially, air will then be forced into the lungs and then on to the vocal chords. Performing various aerobic exercises, such as bicycling or running, will also help to improve your lung capacity and endurance which will aid in your singing control. You will see the best results when you practice using these techniques daily. Numerous other physical techniques like controlling the palate, forming the lips, and mastering proper tongue placement will also provide value to singers. There are a number of vocal techniques you should use so that you can strengthen your muscles and also keep them healthy and fit. By exercising your voice and practicing accurate techniques on a daily basis, you will obtain the maximum results. Note however, that these routine daily practice sessions must include warm up and cool down exercises as well as other appropriate vocal techniques and not just involve learning new songs. Additionally, always rest your voice appropriately so that you do not strain your throat or vocal chords or even damage them permanently. It is again highly recommended that you seek the advice of a qualified voice coach who can teach you a number of vocal techniques to improve your singing. After you understand the basic vocal methods, you will be prepared to learn more advanced exercises such as how to create a full sound or how to sustain and end a tone. Identifying and singing a pitch, increasing your range and fullness, pronouncing vowels and consonants effectively, keeping your throat open to create resonance, and adding emotion to your singing are additional approaches to develop your voice and sing better. If you are truly serious about becoming a professional singer, there are many additional techniques in which you should learn and become proficient. For example, when walking onto the stage while holding a microphone and simultaneously connecting with the audience; a skilled entertainer is required to master all these elements of stage performance. The more effort you put into your vocal exercise program and specialized talents, the more rapid and further you will progress. One of the most interesting facts about singing is that your lifestyle has an influence on your singing and your ability to perform well. The use of alcohol, illicit drugs, cigarettes, and even drinking caffeine can negatively affect your voice. Drinking plenty of water, eating a balanced diet, exercising appropriately, and getting plenty of rest are all benefits that are good for your body and voice. In order to learn how to sing well, you need to consider all aspects of your life. It is recommended that you vary your life experiences as a singer which could include learning a second instrument, listening to a variety of music, or even taking part in a variety of non musical events. These alternative activities will enhance your skills as a complete singer. 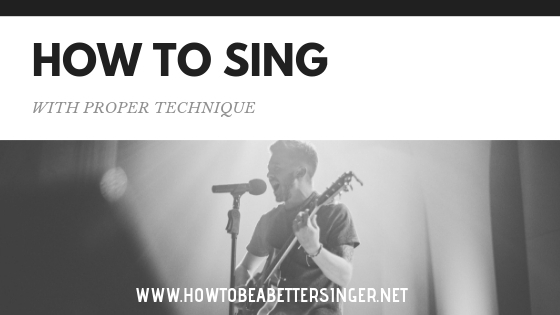 Becoming a better singer does not happen quickly and requires effort and patience. You need to remain motivated and passionate about your musical objectives. Even if you are blessed with natural talent, you will need to remain inspired and focused in order to accomplish your goals.